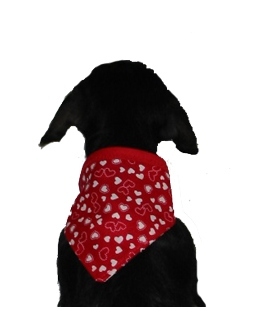 Available in all sizes: teacup through large breeds. 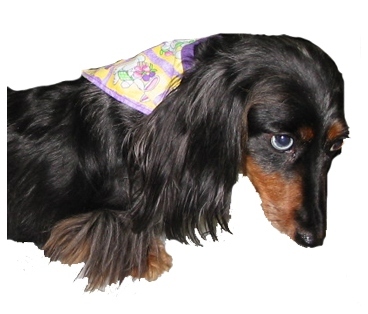 Nothing makes your dog look jauntier than a bandanna! 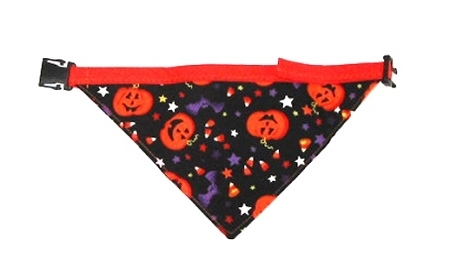 But bandannas are tough to tie properly and keep in place on yourself, let alone on a wriggling pooch. 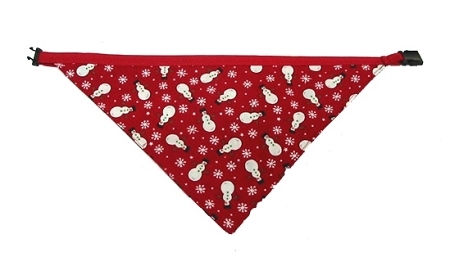 That's why there's Snap-A-Danna™, the snap-on, reversible dog bandanna! MORE FOR YOUR MONEY: Reversible to give you two fashion statements for the price of one! 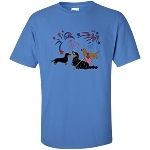 DISTINCTIVE: For an extra charge, we can personalize the Snap-A-Danna with your dog's name. Sizes available for teacups through large breeds! 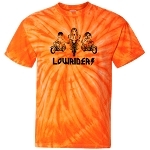 Priced $5-$9. This product was better then I expected.. Loved the fact I could pick 2 colors of material. The price is great and arrived faster then I expected.. Love the fact that it is adjustable too. Wini loves walking around showing it off. I will probably order some more soon. Purchased this snap-a-dana for my rescue doxie so he'll be festive at Christmas time--beautifully constructed and perfect size for my little guy! 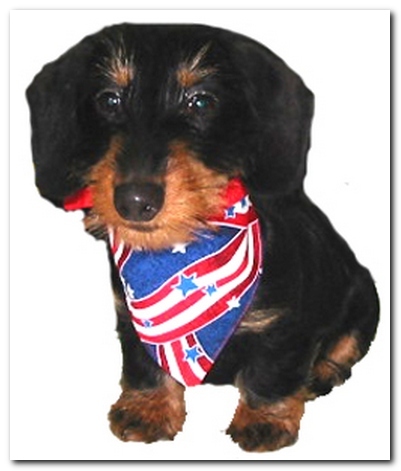 My dog Frankie looks so cute in his "frankie" bandana. My mother has poor eyesight and the bandana makes our dog easier for her to see. Everything this company makes is of exceptional quality and the great range of patterns makes them fun too.